Australian Mist Cat is a relatively new cat breed. It is a combination of three cat breeds, such as Burmese, Abyssinian and Domestic Short Hair. This cat breed is well known for its temperament, loving nature, and sense of humor. 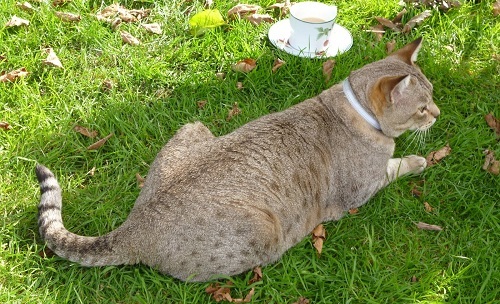 This cat breed has inherited Burmese ‘laid back’ nature. Also it has inherited the Abyssinian’s striking fur and also the firmness of Domestic Short Hair. These cats usually come in two patterns, such as delicate spot or intricate marbled swirls against the misty back ground. The legs and tail are ringed and lined. Face is also lined. Temperament is one of the most well-known personalities of Australian Mist Cat.